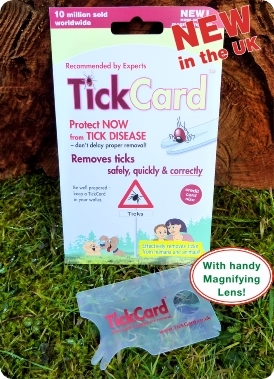 The TickCard removes ticks safely, quickly and correctly. It has two different size notches to fit all sizes of tick. The TickCard offers the extra bonus of a handy built-in 3 x magnifying lens! remove ticks correctly and without delay! Now with handy Magnifying Lens. 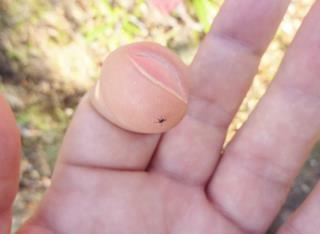 Remove small, not yet engorged ticks and bee stings with the smaller notch – also can be used for thorns and splinters. The practical credit card size offers the advantage that you can always have it with you so you can remove ticks without delay. The scientifically approved removal method does not stress the tickand helps reduce the Lyme disease infection risk! The TickCard receives praise from experts and outdoor enthusiasts alike. The TickCard offers many reasons why customers appreciate it. 1) Slip the notch of the TickCard under the tick. 2) Lift the front of the card slightly and then gently push the card forward. 3) Allow the tick to let go and be pulled out of the skin easily and effortlessly. Designed for use anywhere on the body. 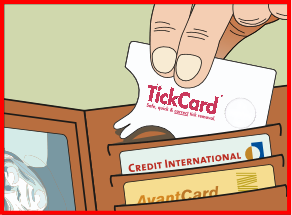 With a TickCard in your wallet you are always well prepared! No need to use pincers, tick-tweezers or chemicals! Effectively removes ticks from humans and animals. Here is our Retail Info Sheet – click here for the 2 page pdf – for you to print; we supply copies with orders. Borreliosis bacteria (Lyme disease) live in the digestive tract of infected ticks. The tick can regurgitate these microbes at any time into it’s host, but does so especially when stressed or squeezed. As part of the normal feeding process, to keep the host’s blood flowing, the tick will usually regurgitate into its host after 8-24 hours in any case. (Bon appétit!) That explains why it is vital to remove ticks safely, quickly and correctly – without stressing the tick! And why it is vital to keep a TickCard handy! The internet is full of horror stories (see also YouTube) showing how terrible and complicated Lyme disease can be, for example see this short film trailer: “One Tick Away”. The sensible choice to help reduce the risk of dangerous infection is: be prepared! Being well prepared is simple: keep a TickCard in your wallet during the Summer months so there is no delay in properly removing a tick. Ticks are wide awake and highly active from early March through to October. They are also active during mild Winters. >> See Graph and Life Cycle. Ticks can carry dangerous microbes in their saliva and body fluids. There are many myths about how to best remove a tick. Experts recommend to remove ticks safely, quickly and correctly. Do not squeeze, stress or burn a tick – it may regurgitate or put more saliva into you. If possible disinfect the bite area after removal and wash your hands and the TickCard with hot soapy water. 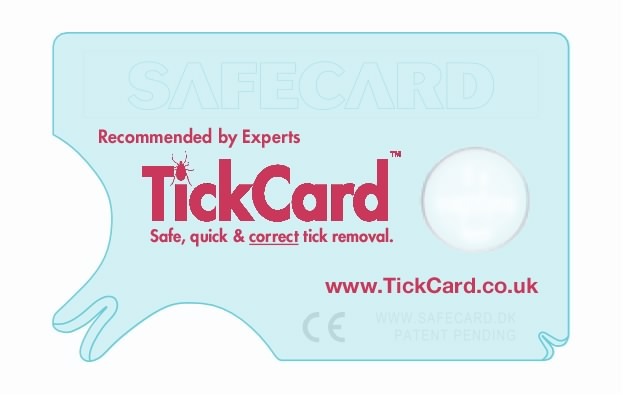 The patented TickCard™ utilises an entirely new principle: ticks are removed correctly and easily, without the use of force! This method helps avoid ticks releasing their dangerous microbes into the bloodstream! The TickCard and all packaging is designed with quality, durability and the environment in mind. Material: Plastics are 100% PVC-free, with low environmental impact (ABS for the actual card, and PP for pouch). Retain the packaging card for reference or recycle with paper. Click on picture to see packaging in detail. Now over 15 million sold world-wide!